Getting on the property ladder is becoming harder and harder, especially for young people. It’s still the biggest financial investment you’ll ever make. Nothing fully prepares you for the amount of money that changes hands! It’s an enormous life decision, but it’s the best way to build a financial asset. If you’re thinking about getting on the housing market, there are a few things you need to understand. First and foremost, you’ll need to apply for a mortgage. You’re looking for an exceptional deal with low rates and beneficial terms. Let’s look at some of the factors that affect your ability to get a home loan. 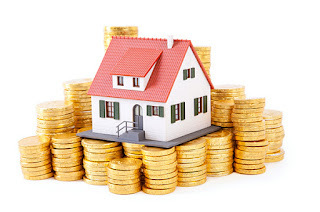 When it comes to buying property, you always need a strong downpayment to secure the loan. In many cases, you’ll need a strong 20% of the house value. That’s a huge amount of money for any family or young couple. The bigger the deposit you can save, the more favourable your mortgage rate. It’s time to start saving! So, before you start thinking about applying for a mortgage, ask yourself how much you can afford as down payment. Mortgages are typically granted as a percentage of your household income. In most cases, mortgages are offered at four times your total income. Unfortunately, that immediately prices out a large portion of the population. House prices are rising faster than incomes in most parts of the country! So, before you approach a mortgage advisor, make sure you know exactly what your annual income is. You’ll also have to provide details about your employment to your mortgage lender. Remember, a mortgage is often paid back over 20 years. They need to know that you have a stable economic base to pay back that loan. For this reason, self-employed applicants often struggle to secure a traditional bank mortgage. Don’t worry, though. There are other real estate finance options like portfolio loans. These are outside the bank loan system and have fewer restrictions. Lenders also like to know that you have a reliable history of paying your loans and debts on time. If you have a lot of red marks on your credit history, mortgage lenders will be suspicious. If it’s clean and debt free, you’ll secure a better interest rate, and favourable mortgage terms. If you currently have outstanding debts on credit cards, car loans, or personal finances, pay them off in full before you apply. The area you choose to purchase property has a big impact on the loan agreement. The reason for this is the variation in property prices. If you’re looking to buy in a city centre area, you’re looking at paying a much higher premium. That means a bigger deposit, bigger repayments, and a higher interest rate. Make sure you can afford the rates in your area before you make a commitment. If you’ve reached the end of this article, and you’re confident you’re in a place to buy, then congratulations! Best of luck in your new home!